The Multistar L3 is one of the most successful and widely used star screen machines on the market. 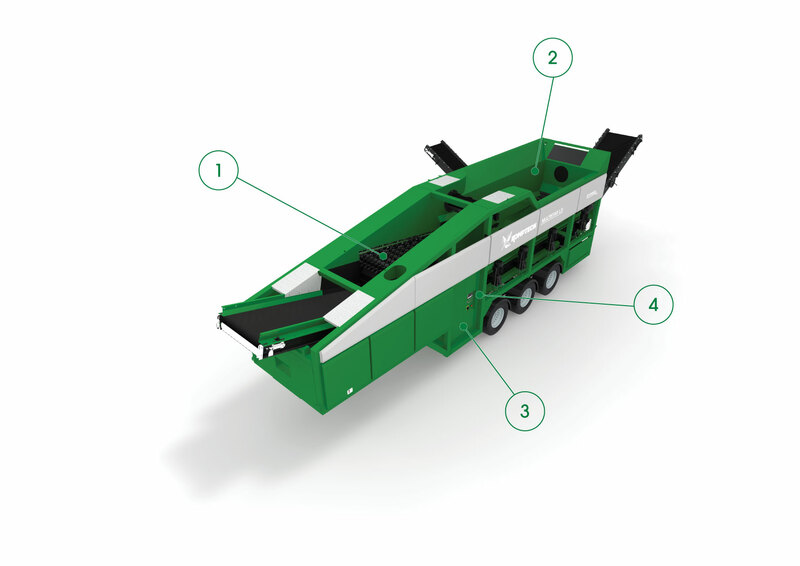 Whether you're processing mulch, soil or compost, in one pass the L3 efficiently produces either 3- or 2-fraction separation, even with wet material. Additional separation options include wind sifting (mids and overs) and ferrous metals separation. An electric drive with intelligent control unit and easy touch panel operation keeps your screening operation running smoothly with low noise. An extended coarse screen is available to boost throughput for applications where coarse screening can cause bottlenecks. Komptech's patented CLEANSTAR cleaning system consists of highly elastic screening stars with cleaning elements that provide constant cleaning of all star shafts during operation with each rotation. Wear costs are reduced through individually replaceable stars and cleaning elements. The large 9.2 yd3 hopper design with rounded corners combined with an active metering drum, inclined floor and scraper conveyor, ensures constant, even material feeding onto the screen deck through to the extra wide discharge belt for reliable throughput production. All components are electrically driven, with power able to come from the grid for the lowest cost, or from the on-board diesel generator when grid power isn’t available. 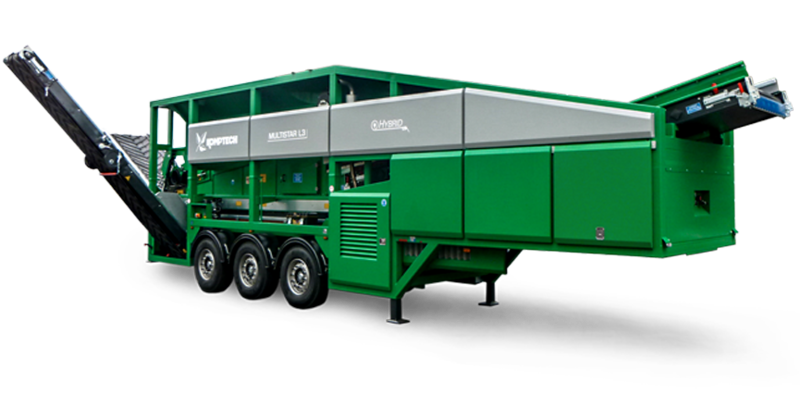 The use of grid power reduces energy consumption by up to 75% compared with diesel-hydraulic power. With the touch of a button, change the particle size of your output using the high-resolution touchscreen graphic control panel, easily readable even in bright sunlight. The intuitive menu enables easy operation and on-board diagnostics allow for fast troubleshooting. Four Multistar star screen models are available to choose from and are built for a variety of application types and performance needs. HAVE A QUESTION ABOUT THE MULTISTAR L3? When it comes to screening mulch and compost, our team is ready to help you accomplish more by delivering industry and product expertise combined with world-class parts and service support. How can we help you?